Welcome to the 125th Virtual Poetry Circle! Remember, this is just for fun and is not meant to be stressful. Keep in mind what Molly Peacock’s books suggested. Look at a line, a stanza, sentences, and images; describe what you like or don’t like; and offer an opinion. If you missed my review of her book, check it out here. Also, sign up for the 2011 Fearless Poetry Reading Challenge because its simple; you only need to read 1 book of poetry. 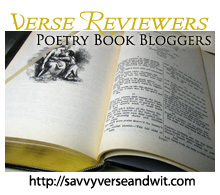 Please contribute to the growing list of 2011 Indie Lit Award Poetry Suggestions (please nominate 2011 Poetry), visit the stops on the National Poetry Month Blog Tour from April. Soul Clothes by Regina D. Jemison is slim collection of poems that explore the Black experience from a spiritual perspective. She has quite a bit to say about the struggles Black men have with confidence, kicking habits, staying with their women, but she also has a lot to say about her own experiences and even the civil rights movement. Broken into three sections — God Gave Me Words, Soul Clothes, and Divine Reflections — and the first section tackles wider societal topics of struggle and faith, while the Soul Clothes section tackles similar struggles on a more personal level. In the final section, Jemison reflects on those struggles and what they teach each of us about ourselves and our place in the world, as well as how fleeting life really is. Some poems have an internal jazz-like rhythm with a message. However, this collection’s poetry is direct and without frills, and in many ways read less like poetry and more like sermons or pep talks. All of these poems are direct and strive to get readers thinking about today’s world and the struggles of Black men and women. Readers will enjoy her frankness, and her faith is strong. Soul Clothes by Regina D. Jemison is a spiritual collection that strives to provide readers with an inside look at the Black experience and the strength of faith. Since this was published in 2011, it is eligible for this year’s Indie Lit Awards. This is my 71st book for the 2011 New Authors Reading Challenge. This is my 32nd book for the Fearless Poetry Exploration Reading Challenge. First, I would like to congratulate (Bibliophile by the Sea) on winning Where Am I Going by Michelle Cromer from the last Mailbox Monday giveaway. Stay tuned for the next giveaway later on in the post, but for now, let’s get to this week’s post. Mailbox Mondays (click the icon to check out the new blog) has gone on tour since Marcia at A Girl and Her Books, formerly The Printed Page passed the torch. Thanks to Amused by Booksfor hosting last month. 7. The Conference of the Birds by Peter Sis for review for TLC Book Tours in early November. 8. The Strangers on Montagu Street by Karen White for review in November. 9. Three Women: A Poetic Triptych and Selected Poems by Emma Eden Ramos for review. 10. Beyond the Scent of Sorrow by Sweta Srivastava Vikram for review. 11. Soul Clothes by Regina D. Jemison for review. 12. A Train in Winter by Caroline Moorehead for a TLC Book Tour at the end of November. What books did you receive this week? Please leave your link below to your mailbox. Now, for the giveaway for the week. I’m holding an international giveaway for Waking by Ron Rash. Deadline to enter is Oct. 22, 2011. I reviewed the book earlier in the month and is my first experience with Rash’s work. Have you read other Ron Rash books, if so which one and should I read it? I also posted a poem from the collection in the Virtual Poetry Circle. Please leave a comment if you are interested in this book.